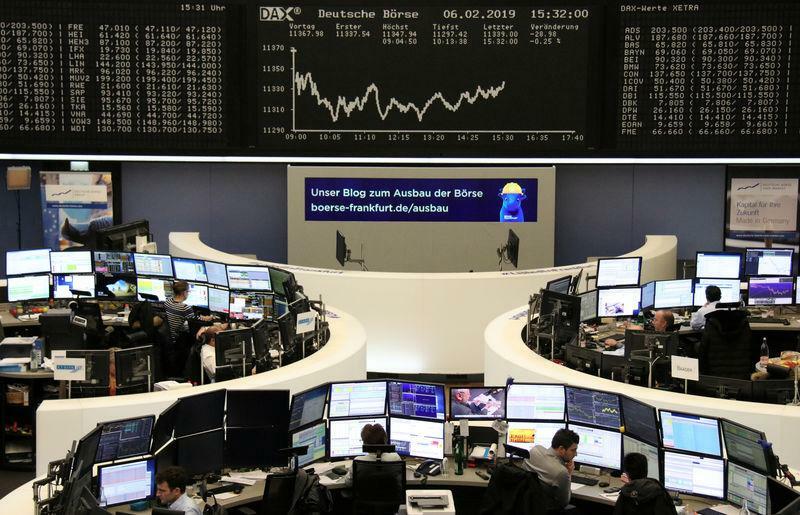 LONDON (Reuters) - European shares were lower on Wednesday as weak results from banks, including BNP Paribas, and carmaker Daimler brought an end to the market's six-day rally. Europe's STOXX 600 fell 0.2 percent by 0909 GMT, with the index stalled near the more-than-two-month highs reached on Tuesday. 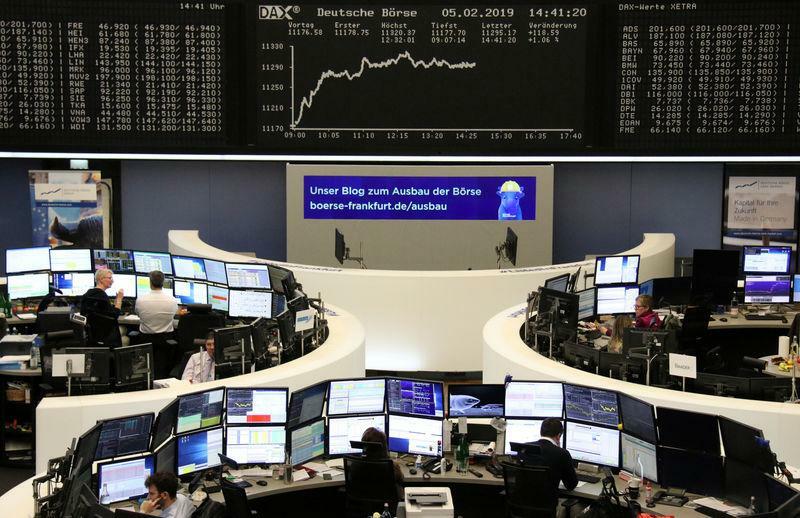 Germany's trade-sensitive DAX was down 0.5 percent and France's CAC 40 fell 0.4 percent. President U.S. Donald Trump's combative State of the Union speech added to market gloom. He announced no new infrastructure initiatives and instead raised the prospect of another government shutdown if he doesn't get funding for a border wall. "Investors looking towards the State of the Union address for a fresh trading catalyst were left disappointed," said Jasper Lawler, head of research at London Capital Group. Daimler fell to the bottom of the DAX, down 2.3 percent, after the German carmaker said fourth-quarter operating profit fell 22 percent, as trade war and ballooning costs for developing electric and self-driving cars hit profits at Mercedes-Benz autos. Auto makers and suppliers were down 0.8 percent. Banks were the biggest drag on the STOXX 600, with BNP Paribas down 2.2 percent. France's largest-listed lender lowered its profit and revenue growth targets for 2020 after a tough fourth quarter. The news reinforced concerns about euro zone banks' struggle with low interest rates, tough trading conditions, and a slowing economy. Credit Suisse was down 0.7 percent after the Swiss bank said it expected a higher tax rate for 2018 than previously forecast. Nordea fell 1.4 percent after the Nordic region's biggest bank reported a 6 percent drop in fourth-quarter revenue, dashing analysts' hopes of an improvement and overshadowing its cost cutting efforts. By contrast, London-listed CYBG jumped 12 percent to the top of the STOXX 600 after reporting a rise in lending in the first quarter of its 2019 fiscal year, facing down strong competition on Britain's housing mortgage market. Dassault Systemes shot up 8.8 percent to four-month highs after the French software company's fourth quarter revenue topped guidance. "While the company’s outlook for 2019 is slightly below our expectations, we want to highlight that the company has a track record to guide conservatively," said Baader Helvea analyst Knut Woller. Finnish engineering firm Metso and Swedish industrial technology group Hexagon rose 7.5 and 8.5 percent after well-received results. CRH rose 3.3 percent on news that activist investor Cevian Capital had built a stake to become the second- largest shareholder in the heavy materials and building products group.